When is the FFXIV Shadowbringers release date? 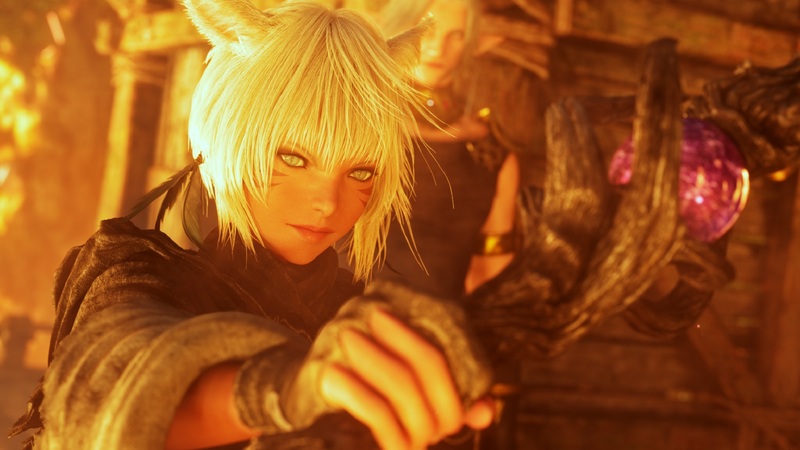 Square Enix has announced the third expansion to the heroically revitalized MMORPG Final Fantasy XIV: A Realm Reborn, Shadowbringers. Following in the footsteps of Heavensward and Stormblood, the latest expansion will add a whole host of new content to the game when it releases in July. Details of FFXIV Shadowbringers are slowly coming into the light as part of this year’s trio of FFXIV Fan Festivals, so we’ll be sure to update this page as each one of them takes place, and share you into all the latest info and reveals. From what we know so far, Shadowbringers will continue the MMO’s Main Scenario Quests with a story that sends players on a journey to become Warriors of Darkness. Considering that we’ve spent the entirety of Final Fantasy XIV so far as Warriors of Light fighting off forces of darkness, it must mean some serious stuff is about to go down in order for us to maintain the balance in the world. The list of other standout additions in Shadowbringers includes two new job classes, an increased level cap to 80, a new race, a new Beast Tribe and Primal, nine new dungeons and a Nier-themed raid, a ‘Trust’ system for NPCs, a host of new areas to explore and a New Game+ mode that will allow you to replay previous storylines from the Main Scenario. It’s a lot to take in so let’s take a look at it all in more detail below. Final Fantasy XIV: Shadowbringers will be released on July 2, 2019. Each copy will include the Heavensward and Stormblood expansions, but you’ll need to purchase a copy of A Realm Reborn separately. Want some Gils in FFXIV with cheapest prices and fastest delivery, secured transaction process as well? We got what you need on this website shelf now! Click Final Fantasy XIV Gil or FFXIV Gil to purchase now or search for more details! Our Customer services are 24/7 live so you feel free to jump into with any questions and puzzles and seek help from them anytime you prefer!